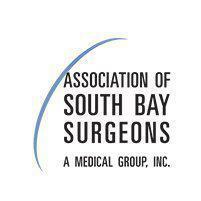 Association Of South Bay Surgeons always appreciates feedback from our valued patients. To date, we’re thrilled to have collected 134 reviews with an average rating of 4.87 out of 5 stars. Please read what others are saying about Association Of South Bay Surgeons below, and as always, we would love to collect your feedback. The best Surgeon, kind, compassionate had two Surgeries by Dr.Lam w amazing results..
Dr Friedlander is a very kind and empathetic doctor which has been important since the patient is a young lady. Very good ,friendly knowledgble doctor. Excellent surgeon! Great care and saved my life!! Very very nice to me as a patient !!! Check-in went smoothly. Time to exam room and doctor arriving was reasonable. Doctor answered all my questions and gave me physical therapy to improve my condition. Dr li an his staff are one of the best groups for medical care I have come across and I'm very lucky to have met him. Comprehensive & fast. Very pleased. I’m so fortunate to have been assigned Dr. Linnebur in the hospital. My surgery was very successful and she was very supportive throughout. It’s rare to find a doctor that’s both skilled and has a caring bedside manner. Dr Linnebur is the best Dr I have ever been too. Her bedside manners and explanation of everything is perfect she is sincere and caring, and I would recommend her to anyone. She always calls back, and does what she says.